What is creativity? How does it work? How does it flourish in individuals and organizations? 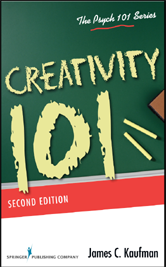 Now in its second edition, this bestselling introductory text--written by one of the worlds leading experts on the psychology of creativity---is completely updated and expanded to reflect the tremendous growth in this field. In a redesigned, reader-friendly format, the text surveys the latest theories and research to provide key information about what we know (and dont know) about creativity including its many definitions and measures. It addresses how creativity operates on individual and social/environmental levels, and the effects and outcomes of the creative mind. Chapter 1 What Is Creativity? Chapter 12 Is Creativity a Good Thing or a Bad Thing?